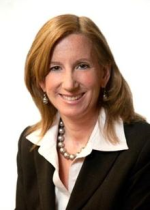 New York-based Deloitte (FY17 net revenue of $18.6 billion) has told its partners that the first woman to run a Big 4 firm in the U.S., Cathy Engelbert, has not been renominated for a second four-year term, the Wall Street Journal reported June 28. Deloitte did not comment, saying it will provide an update when the firm has its formal leadership election in early 2019. Engelbert also did not provide the Journal with a comment. Engelbert, who has been with the company since 1986, was named CEO in 2015. She ran the audit practice prior to becoming CEO. Engelbert possibly could be renominated for a second term at a later phase of Deloitte’s CEO-election process. A candidate recommended by the board must be approved by two-thirds of Deloitte’s voting partners and principals. Her current term ends next spring. Since Deloitte named Engelbert CEO, KPMG named Lynne Doughtie as chairwoman and CEO in 2015. At Ernst & Young, Kelly Grier became chairwoman and managing partner July 1.